It’s a Japanese and Chinese way to combine tofu and avocado. 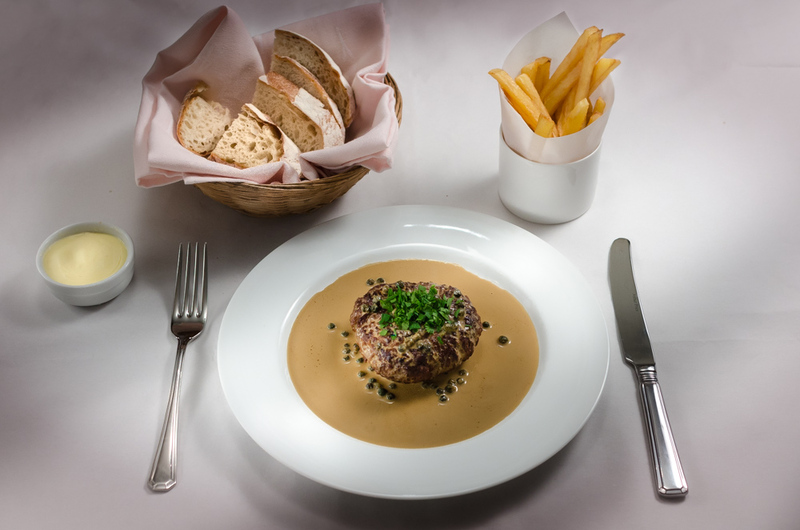 The bland pulpiness can take a little getting used to for a Western palate – but persevere and you will be rewarded with subtle soft textures and tastes that are a revelation. Think of the tofu as a savoury panna cotta with the avocado providing the main flavour and bite – once we take our taste bud meter away from expecting 11 with each bite, you will see that this is a soothing and restorative delight. A refined delicacy that is very Japanese. But I wanted to see if this can be extended to include other tastes and thereby enter the flavour vocabulary of other cuisines. So, tomato and basil for an Italian starter using tofu? It works a treat – in fact, it is even better than using mozzarella because it is not so heavy and rich. The basil oil is the secret. 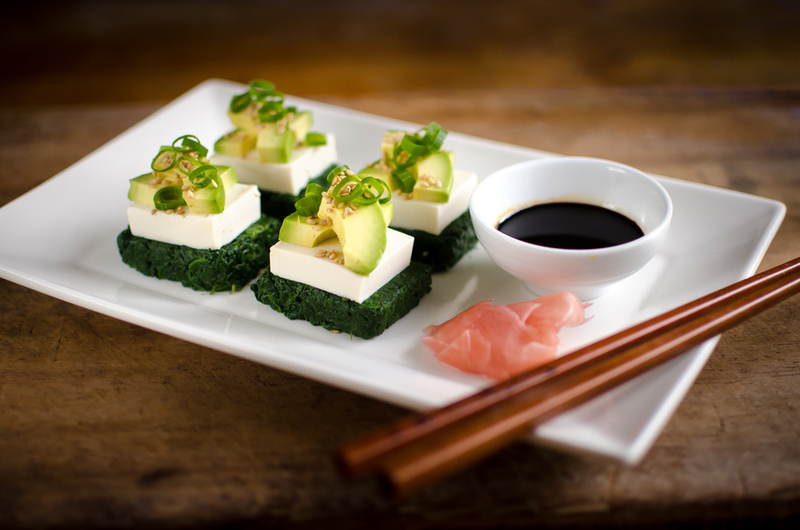 Just as the soy combines the Oriental tofu and avocado, so the intense basil brings all three flavours together. Try it. Prepare the tofu. Remove the tofu from it carton and wrap in a few layers of kitchen towel. Leave in the fridge on a plate. Make the basil oil. Wash the leaves and dry very carefully on kitchen towel. Heat the olive oil on a very low heat. Add the basil and stir, heat for a few minutes until the basil has wilted and is beginning to go a little dull. Do not let it boil or fry! Blend the basil and oil, or pound the leaves in a pestle and mortar and then return back to the oil. Let the oil steep in the oil until completely cool. You have four choices now: either use it as it is, a chunky pesto type of sauce, or strain for a more rustic textured oil, or strain it through muslin – a hassle but will make the clearest quickest oil or pour the blended oil into a bottle or jar and keep in the fridge – the top of the oil will be perfectly clear (see photo above). The final method has the advantage of using the oil on subsequent days either as a clear oil or when the container is shaken for a thicker basil sauce (to which one could add garlic and Parmesan for an instant pasta sauce. Assemble. Cut the tomatoes, tofu and avocados into slices. 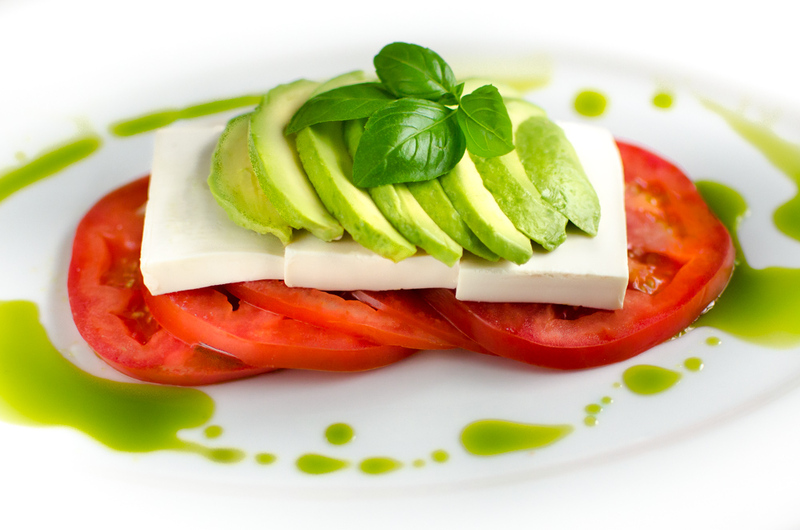 Arrange the tomatoes, then tofu and avocado in a stack on individual plates or a platter. Season with salt, but leave a pepper grinder on the table. Drizzle over the basil oil. 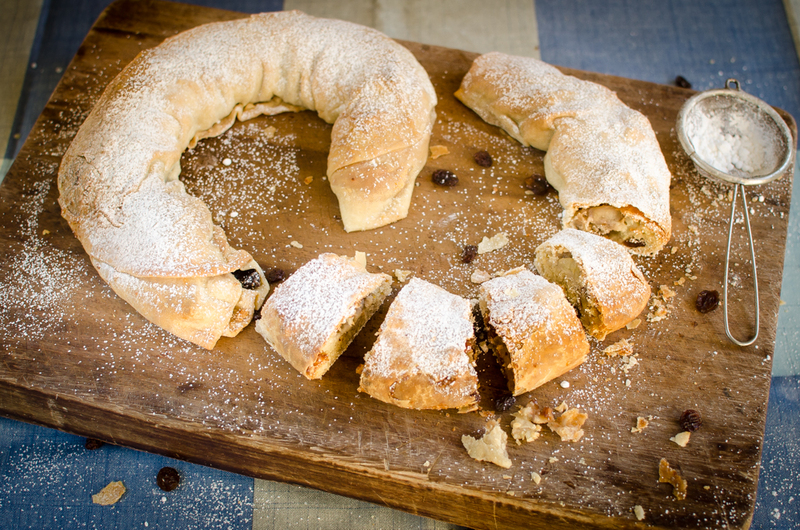 Serve with a little rocket, grissini, pane carasau or other Italian light crisp bread.